I have been procrastinating Valentine’s Day. I am still adjusting to January when February sneaked up and hit me with Valentine’s Day. Well, better late than never right? 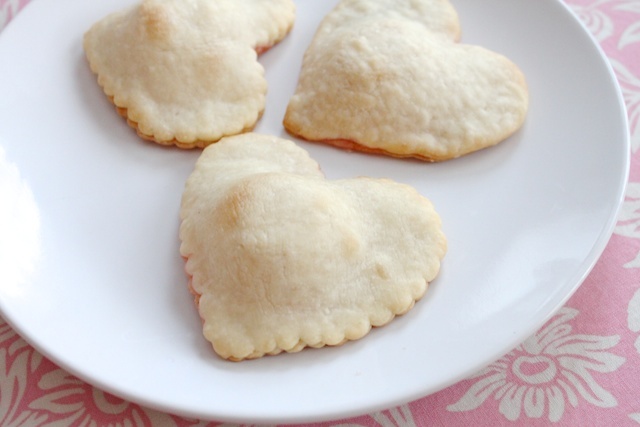 So this week, we will be focusing on super simple tutorials of last minute things you can do for Valentine’s Day. Perfect if you procrastinated like me. 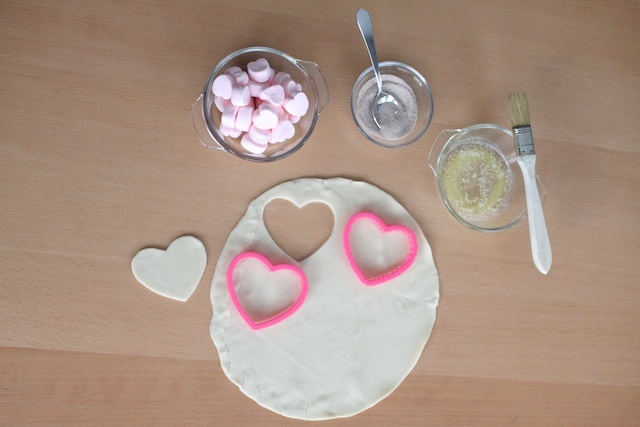 Today, it’s a simple recipe for marshmallow heart tarts. 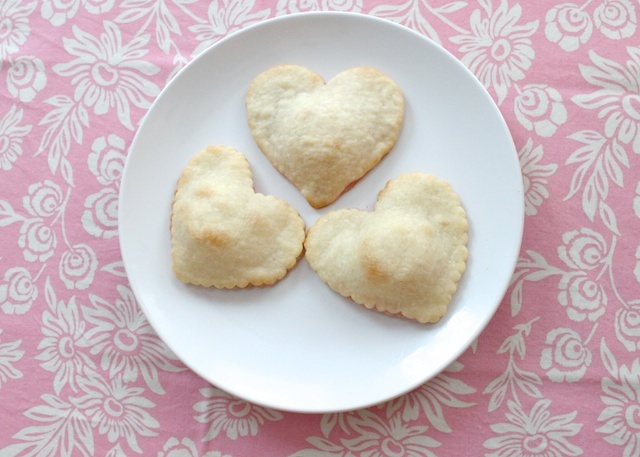 I had purchased a box of pre-made pie crust and was trying to find something to do with it. So I came up with this idea… Because which kid doesn’t like cinnamon, sugar and marshmallows? 1. The pie crust should be rolled out and ready to go. 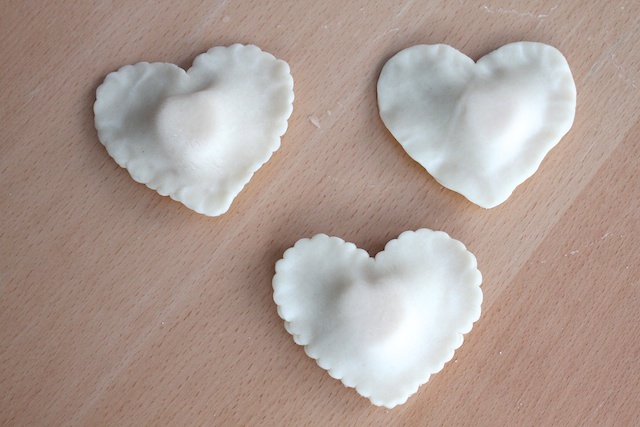 So use heart shaped cookie cutters to cut out pie pieces. You will need 2 for each tart. 2. Mix cinnamon sugar together. On the bottom piece of the tart, brush butter on it and sprinkle cinnamon sugar mixture. You will want to get a good coat of butter on it and don’t be afraid to really sprinkle it with cinnamon sugar. 3. Place a marshmallow in the middle. Then place the top pie crust piece on top. Pinch the edges all around the heart well so it is sealed tight. 4. Bake at 450 degrees for 9-11 minutes or until the tart is golden brown around the edges. The marshmallow may melt out of the edges of the tart while baking, so remove from the pan as soon as you take it out of the oven. 5. Because the pie crust can be a little dry and there are two layers of it, you can serve it with a side of strawberry yogurt for them to dip the tarts. too cute! this would be perfect to put into the kids’ lunchbox! I love these! Might have to try them! Ooo, how bout a piece of chocolate and a marshmallow in the middle? Yumm-o! Definitely gonna try this on the kiddos! I just made these with my 3 1/2 year old son! 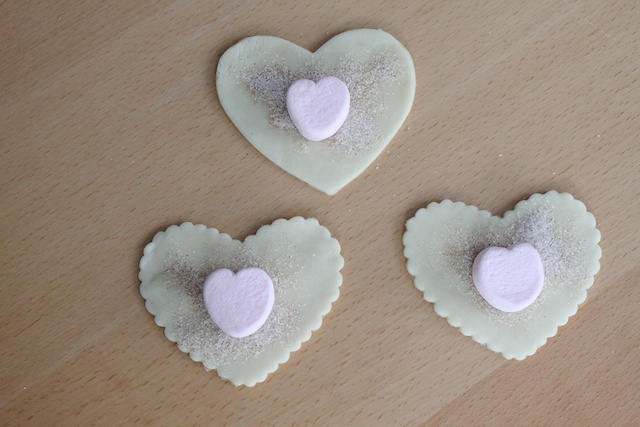 For filling, I used raspberry jam and a mini-marshmallows. They were SO good, and SO easy! Thanks for posting this!